If you struggle with poor focus, mental fatigue, or confusion, brain fog may be the culprit. Though not a medically recognized condition, brain fog is a common complaint. Brain fog often happens in older people but can affect people of any age. Generally speaking, brain fog is a dysfunction in your ability to focus, learn, and remember. If you have brain fog, natural remedies can clear the mist, so to speak. When you engage in lifestyle changes — diet, exercise, sleep, and nutritional supplements — you can improve your mental clarity and energy. Brain fog is a general term for mild to moderate difficulty with focus, concentration, memory, and other cognitive functions. Brain fog can present in different ways, many of which are subjective and self-reported. You may experience mental fatigue, have difficulty finding the right words to express yourself, or feel slow, spaced-out, or forgetful. You might get easily distracted from daily tasks, have difficulty following conversations, or have poor concentration, mental clarity, and memory. Because brain fog is not a medical disorder, you may recognize it when you realize that you have a "cluster" of these symptoms. If you have brain fog, you may experience one or more of the following symptoms. Hormonal changes, side effects from medications, and normal aging all contribute to the symptoms of brain fog. Here are the top seven causes. Mental stress causes your body to produce excessive levels of the hormone cortisol. Stress also suppresses your immune system and stimulates your adrenal system, which regulates your body's production of hormones. Together, these issues impair working memory, concentration, motivation, and other physiological changes that lead to brain fog. What you put in your body affects how efficiently your brain works. A diet full of high-fat or sugary foods can impair memory and other brain activities. Many low-fat processed foods advertised as "good for you" are not: they contain chemical preservatives, MSG, and excess sodium, and are generally bad for your brain. For peak mental performance, your diet should contain a balance of proteins, carbohydrates, and healthy fats, as well as the vitamins, minerals, and nutrients you need. A deficiency of any essential nutrient may cause brain fog. Make sure you drink plenty of water and avoid dehydration, which causes headaches and reduces mental focus. Food allergies — particularly with wheat gluten or dairy — may worsen brain fog. As one scientist puts it, "gluten sensitivity can be primarily, and at times, exclusively, a neurological disease." Scientists have shown a clear link between the gut and the brain. Celiac disease, a condition caused when someone sensitive to gluten continues consuming it, causes inflammation in the digestive system that, in turn, influences balance, concentration, and memory. Likewise, consuming dairy when you have lactose intolerance or an allergy impacts the central nervous system and can cause brain fog. Many commonly prescribed and over-the-counter medications may reduce your mental clarity. Benzodiazepines (a class of drugs prescribed to treat anxiety), opiate pain medications, and prescription and non-prescription sleep aids may exacerbate brain fog. Some medications can interact with each other, or even with over-the-counter products and nutritional supplements, amplifying their effects and affecting mental clarity. Certain medical conditions may impair cognition. 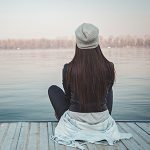 For example, Type 2 diabetes not only affects mental focus due to changes in blood glucose levels, but it also may come with emotional challenges like depression. Similarly, low thyroid function and Hashimoto's disease cause brain fog symptoms including fatigue and memory lapse. Depression, anemia, high blood pressure, and autoimmune disorders like lupus or multiple sclerosis are other health conditions linked to brain fog. Although not a medical condition, addiction to nicotine caused by smoking or other tobacco products may also contribute to brain fog, especially during withdrawals. In a 2013 study, the top two causes people attributed their brain fog to were physical fatigue and sleep deprivation. 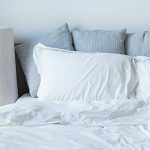 A review of decades of research on the topic found that poor sleep quality is often associated with cognitive decline in middle-aged adults, so make sure to get your beauty rest. According to the U.S. Centers for Disease Control and Prevention (CDC), adults need at least seven to nine hours of sleep per night. Sleeping is extremely important; not only does it boost your energy levels and mental clarity, but also ensures the proper functioning of all your body systems. Your body undergoes hormonal changes at certain points in life. Women going through menopause, the time of life when periods cease, might experience brain fog or related symptoms. The most common age-related brain fog symptoms include trouble focusing, fatigue, and difficulty falling asleep. Besides the hormonal changes associated with menopause, both men and women experience an age-related mental decline that can manifest as brain fog. You can find relief from brain fog with healthy habits that support your body and brain. Inhaling even a molecule of an aromatic essential oil sends a message directly to your brain, which makes it an easy way to reduce brain fog symptoms. Frankincense, for example, helped improve memory and other cognitive functions in rats who have a disorder similar to Alzheimer's disease. 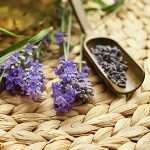 Lavender, peppermint, and chamomile essential oils can relax and calm the mind and body, helping you get restorative sleep. One study found that vetiver oil had properties that stimulated alert wakefulness, which "might be beneficial for learning and memory processes." To find relief, add several drops of lavender essential oil into your hands and rub them together, then cup your hands over your nose and take several deep breaths. Add a drop of lavender essential oil in your hands and rub them together, then cup your hands over your nose and take five deep breaths. An estimated 35 percent of American adults get less than seven to nine hours of sleep per night, the recommended amount. This lack of sleep leaves people fatigued and less productive and focused. According to the CDC, "Getting enough sleep is not a luxury — it is something people need for good health." 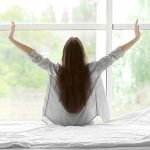 Practice healthy sleep hygiene habits like maintaining a consistent and relaxing bedtime routine, limiting daytime naps to 30 minutes, and holding off on eating rich, fatty foods or consuming caffeine close to bedtime. For more ideas, check out our natural sleep remedies article. Choose "healthy fats" that come from nuts, seeds, and vegetables — olive oil, avocado oil, and walnut oil. These contain omega-3 fatty acids, which play a critical role in brain health. Dietary fats play a role in the blood-brain barrier (which selectively keeps chemicals from penetrating the brain) and in maintaining healthy blood cholesterol levels. Avoid animal-based saturated fats from red meat and high-fat dairy; one study found that people eating the highest amounts of these bad fats experienced the worst memory and cognition problems over time. The exception to this rule is coconut oil, a saturated fat that — in contrast to animal-based options — actually lowers bad cholesterol in your blood. Antioxidants positively impact memory and other cognitive functions. An antioxidant counteracts the harmful effects of free radicals, which otherwise will go around cells causing damage. By counteracting those, antioxidants are the superheroes of your body. They're readily available in dark green leafy vegetables, brightly colored fruits and berries, and herbs and spices like turmeric and cayenne pepper. There's even good news for chocolate lovers — cocoa contains antioxidants called flavanols that improve circulation and may preserve cognitive abilities. Balance out your diet with healthy carbohydrates and proteins for optimal brain health. In addition to protecting you from weight gain, exercise stimulates your body to release hormones that improve brain health, particularly in the areas of mood and energy. A beneficial exercise routine doesn't take long to establish. When people spent just four weeks on a fitness program that combined aerobic exercise, strength training, and stretching, they experienced improved memory, attention, and mental processing speed. Move your body in healthy ways. Simply spending time outdoors boosts cognitive development in kids and helps adults as well. While it's always best to get your nutrition from your food, sometimes you need an extra boost of one nutrient or another. Several nutritional supplements support brain health, including these six. One study found that over a period of 18 months, omega-3 fatty acids slowed mental decline in healthy elderly adults, improving brain fog symptoms like working memory and information retrieval. Because these fats occur naturally in fish and other seafood, fish oil supplements are popular; however, fish oil supplements may have high levels of mercury and other contaminants, and the harvesting methods for these fish are often environmentally unsustainable. We recommend getting your omega-3 fatty acids from plant-based foods or supplements, such as flaxseed oil or algae oil. Scientists have connected magnesium deficiency with a number of brain disorders. Magnesium plays a role in general brain health for everyone, including helping your neurons (nerve cells) "fire" — transmitting messages to the body and creating thoughts. Taking magnesium may protect cognitive function and memory, reducing brain fog. The natural fatty acids found in maca root (Lepidium meyenii) can help preserve overall brain health. Mice fed a diet that including maca root experienced heightened memory and other cognitive abilities. Specifically, the study found that maca root boosted the activity of cellular mitochondria, the organelle inside each cell that provides energy. Past studies had also found maca encouraged a balanced mood and even increased vigor and energy levels. Muddled thinking and forgetfulness may indicate you have low B-12 levels, an essential vitamin. Some studies even show that vitamin B-12 supplements can slow age-related brain decline, especially in people who are deficient. 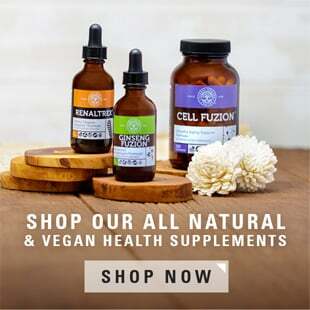 Since vitamin B-12 occurs mainly in animal-based foods, those who follow a vegetarian or vegan diet, or those who do not eat very much meat, may require a B-12 supplement. An herb used in many Ayurvedic remedies and one of the top herbs for mental health, studies have found Bacopa monnieri counteracts brain fog symptoms like short attention span, poor focus, and short-term memory. Also called water hyssop or Brahmi (not to be confused with gotu kola which is also sometimes called Brahmi), bacopa appears to normalize cortisol in the body, which reduces stress, and may help your brain fog. Bacopa also reduces stress which makes it an adaptogen — a substance that helps the body adapt to stress. Mucuna pruriens, also called velvet bean, contains a high concentration of antioxidants. These antioxidants work with L-dopa, a brain chemical, to produce the neurotransmitter dopamine. Among other things, dopamine regulates processes associated with brain fog, including mental flexibility, memory, and motivation. 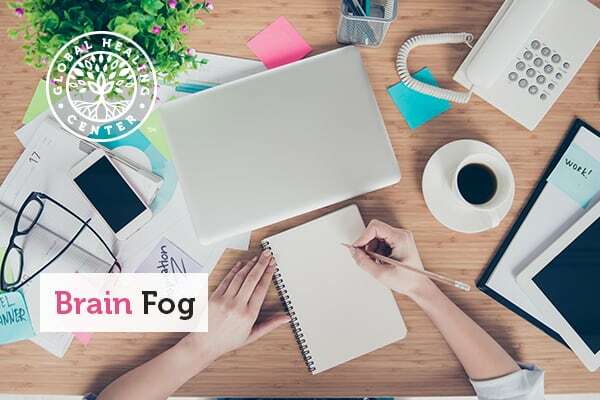 Brain fog is not a recognized medical condition, but it is a common issue for many people and includes symptoms like mental fatigue, poor memory, and lack of focus. A variety of issues may cause brain fog, but the top six causes are stress, poor diet, medications, health conditions, inadequate sleep, and age-related hormonal changes. There are several natural strategies for reducing brain fog. Start by eating a healthy diet including many antioxidant-rich organic fruits and vegetables, whole grains, legumes, nuts, and seeds and avoid fried, processed, and animal-based foods. Exercise more, get more sleep, and try essential oils like peppermint. Herbal supplements like bacopa and Mucuna pruriens may also help you clear the fog, lending greater clarity to your thoughts. 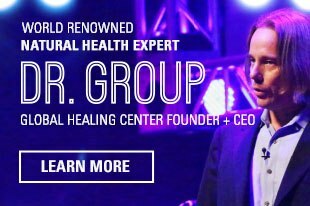 How do you clear brain fog from your mind? Share your tips in the comments! Ross AJ, et al. "What is brain fog? An evaluation of the symptom in postural tachycardia syndrome." Clin Auton Res. 2013;23(6):305-311. Shields GS, et al. "The effects of acute stress on core executive functions: A meta-analysis and comparison with cortisol." Neurosci Biobehav Rev. 2016;68:651-668. Sobesky JL, et al. "High-fat diet consumption disrupts memory and primes elevations in hippocampal IL-1β, an effect that can be prevented with dietary reversal or IL-1 receptor antagonism." Brain Behav Immun. 2014;42:22-32. Hadjivassiliou M, et al. "Gluten sensitivity as a neurological illness." J Neurol Neurosurg Psychiatry. 2002;72(5):560–563. Demakakos P, et al. "Type 2 diabetes, depressive symptoms and trajectories of cognitive decline in a national sample of community-dwellers: A prospective cohort study." PLoS ONE. 2017;12(4):e0175827. Ross A, et al. "What is brain fog? An evaluation of the symptom in postural tachycardia syndrome." Clinical Auton Res. 2013;23(6):305-311. "How Much Sleep Do I Need?" U.S. Centers for Disease Control and Prevention. Updated 2 Mar. 2017. Accessed 7 Oct. 2018. "Menopause." MedlinePlus. U.S. National Library of Medicine. Updated 8 Aug. 2018. Accessed 7 Oct. 2018. Beheshti S, Aghaie R. "Therapeutic effect of frankincense in a rat model of Alzheimer's disease." Avicenna J Phytomed. 2016;6(4):468-475. Cheaha D, et al. "Modification of sleep-waking and electroencephalogram induced by vetiver essential oil inhalation." J Intercult Ethnopharmacol. 2016;5(1):72-78. "Data and Statistics: Short Sleep Duration Among US Adults." U.S. Centers for Disease Control and Prevention. Updated 2 May 2017. Accessed 7 Oct. 2018. "Sleep and Sleep Disorders." U.S. Centers for Disease Control and Prevention. Updated 22 Feb. 2018. Accessed 7 Oct. 2018. "Sleep Hygiene." National Sleep Foundation. Accessed 7 Oct. 2018. Morris MC, Tangney CC. "Dietary fat composition and dementia risk." Neurobiol Aging. 2014 Sep; 35 Suppl 2: S59–S64. Okereke O, et al. "Dietary fat types and 4-year cognitive change in community-dwelling older women." Ann Neurol. 2012 Jul;72(1):124-34. Khaw KT, et al. "Randomised trial of coconut oil, olive oil or butter on blood lipids and other cardiovascular risk factors in healthy men and women." BMJ Open. 2018 Mar 6;8(3):e020167. Gómez-Pinilla F. "Brain foods: the effects of nutrients on brain function." Nat Rev Neurosci. 2008;9(7):568-578. Nehlig A. "The neuroprotective effects of cocoa flavanol and its influence on cognitive performance." Br J Clin Pharmacol. 2013;75(3):716-727. Nouchi R, et al. "Four weeks of combination exercise training improved executive functions, episodic memory, and processing speed in healthy elderly people: evidence from a randomized controlled trial." Age (Dordr). 2014;36(2):787-799. Dadvand P, et al. "Green spaces and cognitive development in primary schoolchildren." Proc Natl Acad Sci U S A. 2015;112(26):7937-7942. Danthiir V, et al. "The older people, omega-3, and cognitive health (EPOCH) trial design and methodology: A randomised, double-blind, controlled trial investigating the effect of long-chain omega-3 fatty acids on cognitive ageing and wellbeing in cognitively healthy older adults." Nutr J. 2011;10:117. Xu Z-P, et al. "Magnesium protects cognitive functions and synaptic plasticity in streptozotocin-induced sporadic Alzheimer's model." PLoS One. 2014;9(9):e108645. Guo S-S, et al. "Preservation of cognitive function by Lepidium meyenii (Maca) is associated with improvement of mitochondrial activity and upregulation of autophagy-related proteins in middle-aged mouse cortex." Evid Based Complement Alternat Med. 2016;2016:4394261. Smith AD, et al. "Homocysteine-lowering by B vitamins slows the rate of accelerated brain atrophy in mild cognitive impairment: A randomized controlled trial." Bush AI, ed. PLoS One. 2010;5(9):e12244. .
Aguiar S, Borowski T. "Neuropharmacological review of the nootropic herb Bacopa monnieri." Rejuvenation Res. 2013;16(4):313-326. Puig MV, et al. "Prefrontal dopamine in associative learning and memory." Neuroscience. 2014;282:217-229.